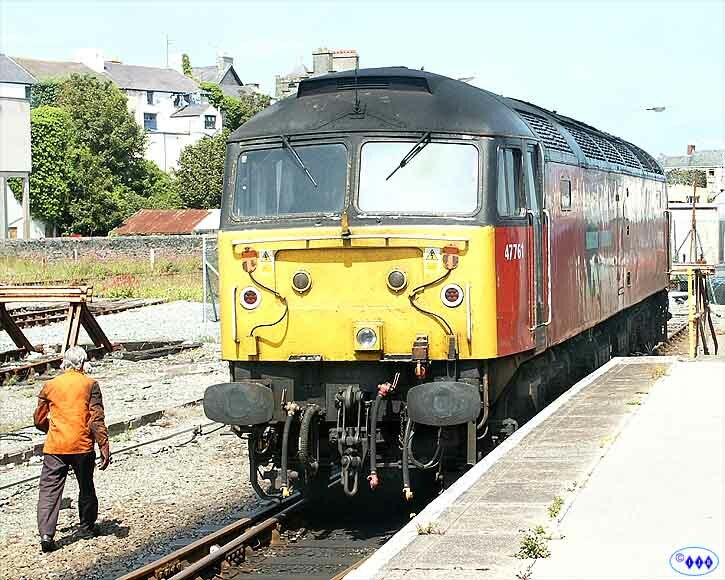 47761 storming away from Colwyn Bay station en route for Holyhead. 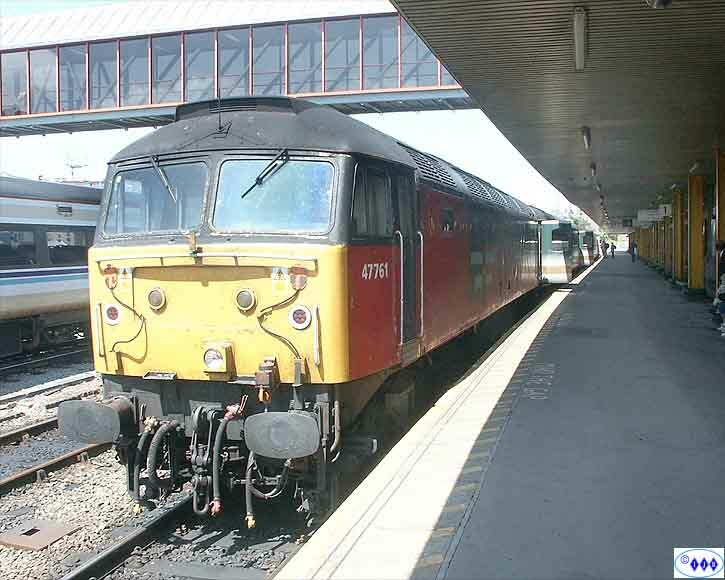 I was unable to take any shots of 761 at Crewe because there was a last minute platform change. 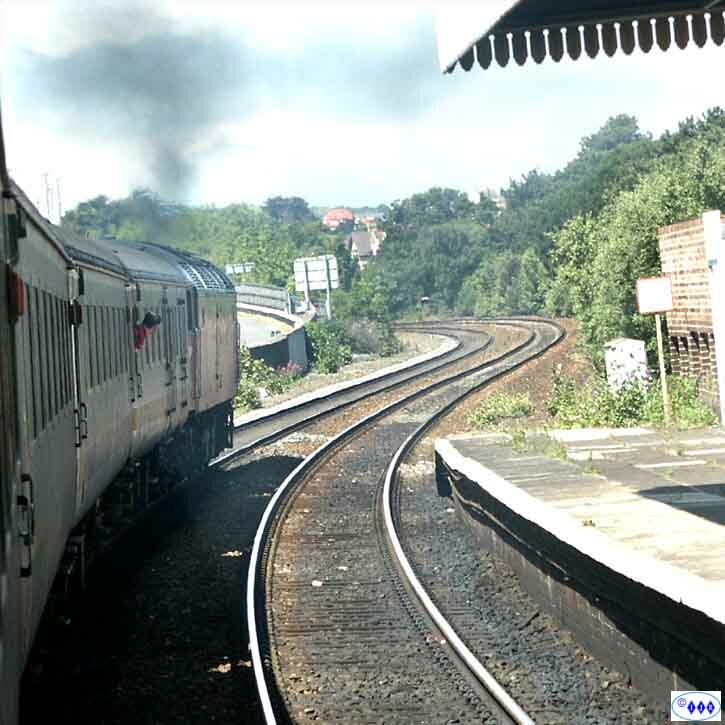 Last minute means that passengers are advised just after the train has arrived in the "wrong" platform. 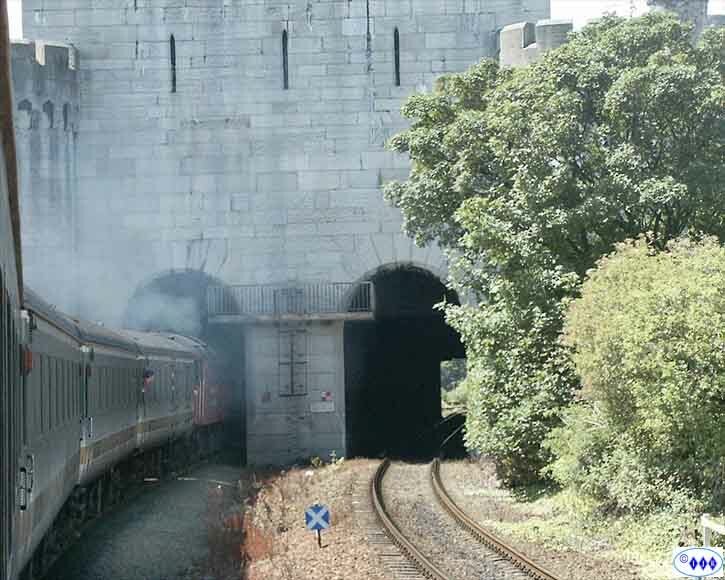 761 entering the tubular bridge over the Conwy River by Conwy Castle. 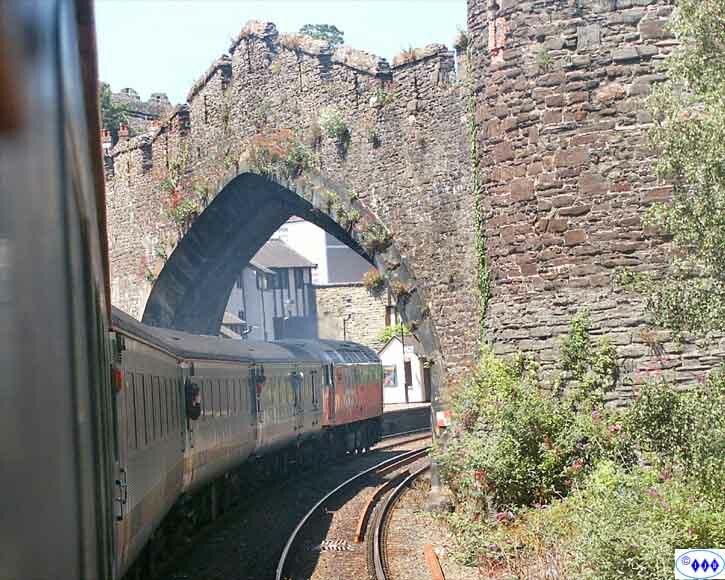 Through that impressive archway as it enters Conwy Station. Arrival at Holyhead and a more than generous array of staff on and around the train. 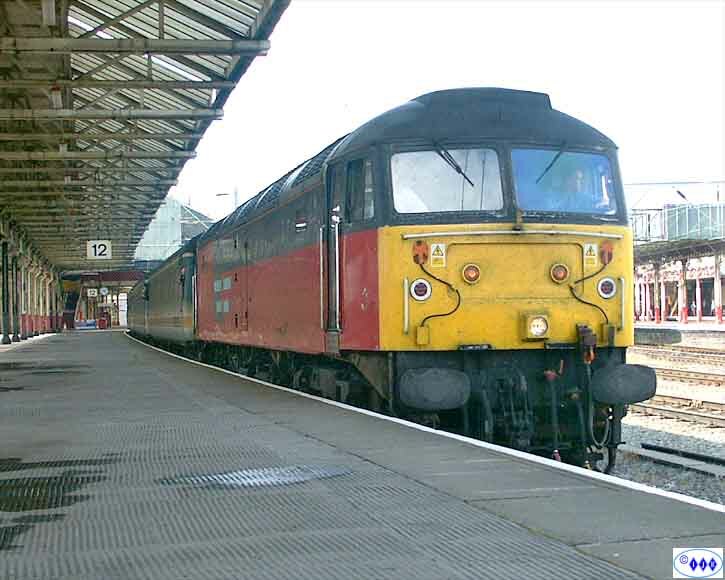 The 47 was detached to pull forward onto that very short headshunt in order to run round the train. It may not be a 37 but enjoy it while you can, there will be no runround with a Voyager!! 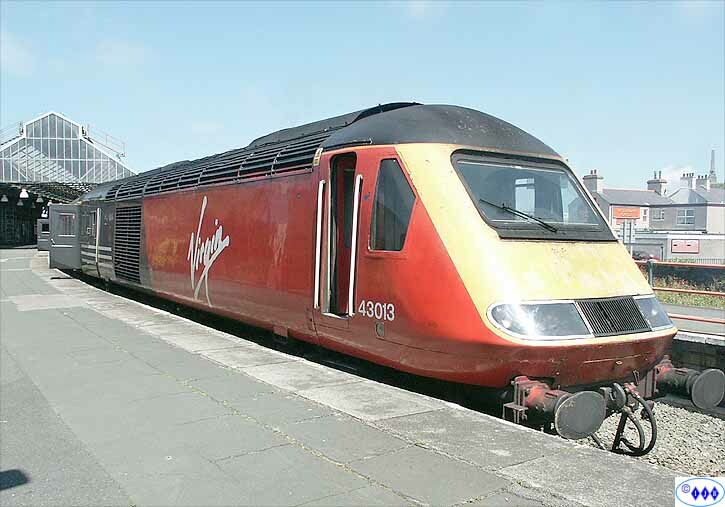 While the 47 was performing its runround trick, the Virgin HST was preparing to leave as the 13.43 for London Euston. 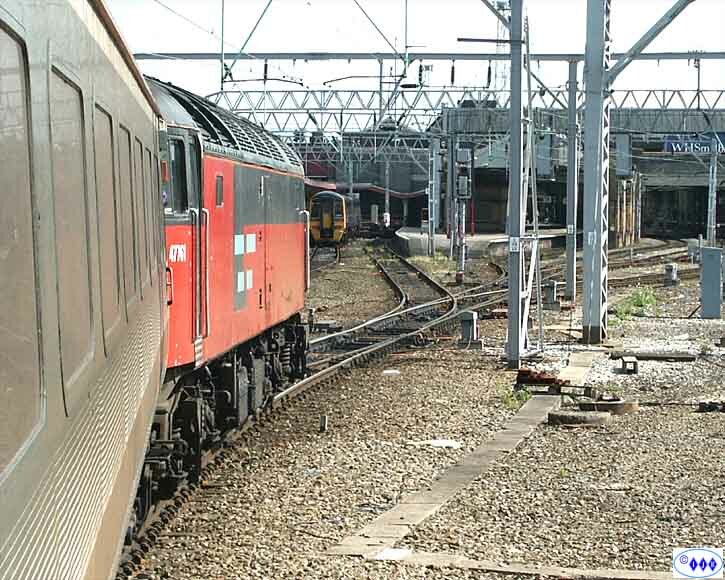 Today the set was powerd by 43013 leading 43098. Basking in the warm sunshine under the Californian sky - Holyhead style. 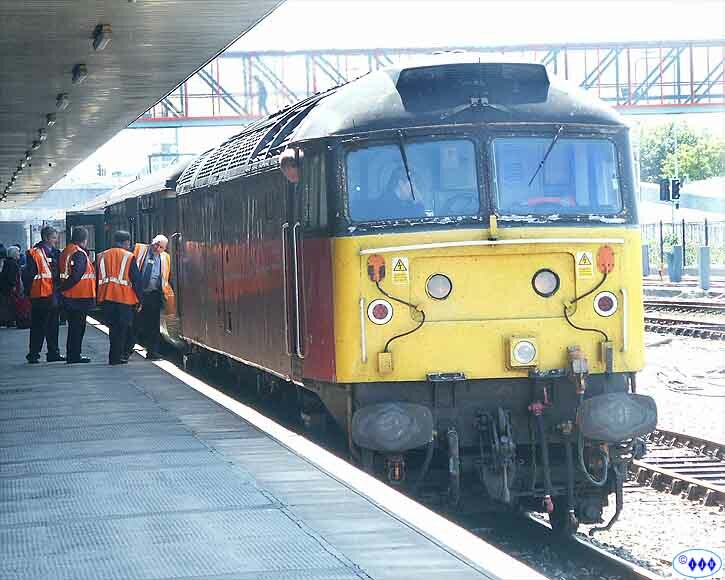 Back on the rails and a return to Crewe as the locomotive negotiates its way through the maze of pointwork to enter platform 12. After disgorging passengers and waiting a few minutes to allow a Liverpool bound Class 90 to enter platform 11, the RES liveried 47 departs for Birmingham. So ended a very pleasant and, apart from the niggle over platform the change, trouble free journey from Crewe to Holyhead and back. The staff were great, the trolley was well provisioned and everything ran to time. The cost was £20.22 for a round trip of 211 miles which works out at 9.6 pence per mile - do that in a car if you can!